CooksRecipes has quality, kitchen-tested recipes for boiled, braised, fried, sautéed and skillet-cooked chicken dishes that you can count on for successful deliciousness. Try this easy recipe for a quick and tasty dish that's sure to please. 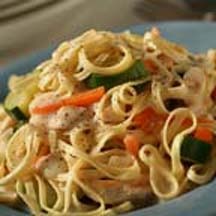 Tender strips of chicken, colorful vegetables enrobed in a creamy sauce with Parmesan cheese. 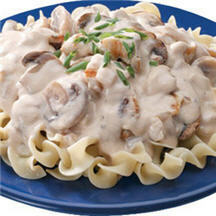 Your family will love chicken and mushrooms in a cream sauce served over noodles.